In years past, we commonly use Groupme during the program to send instant messages to interns and staff. This has been a huge boost to productivity and efficiency, especially during group outings. It is completely optional, but we do encourage new interns to sign their phones up for the service if it is of interest. Many interns from years past continue the group conversation going to encourage and pray for each other many months after the program ends. To learn more, go to the service’s website, groupme.com, or download the app below. *The GroupMe App is property of GroupMe, Inc, ©2017. 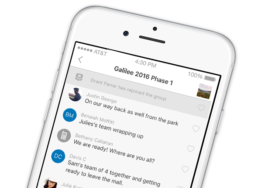 The Galilee Program and other affiliate ministries are not associated with GroupMe, Inc.